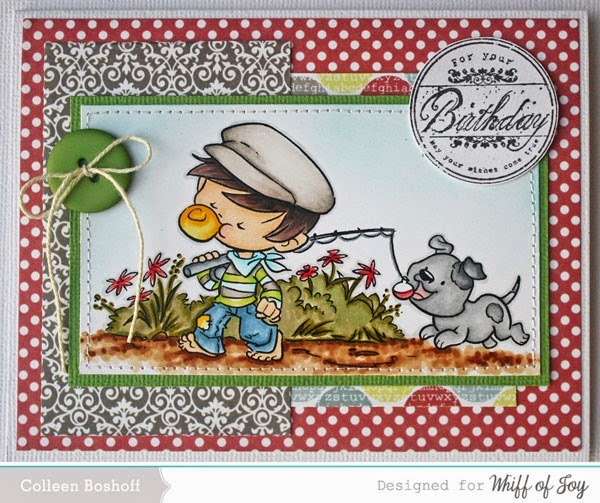 I have a sweet little card for a special little boy's birthday. 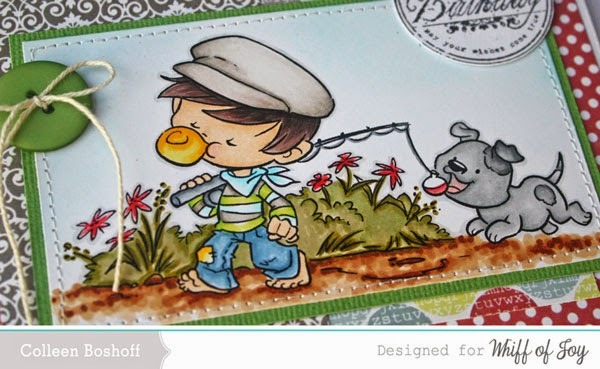 This digi from WOJ 'Little Fisherman' is perfect for little boys but great for the 'big' boys too! I don't make a lot of male themed cards and I really need to but when I do I tend to keep them fairly simple. I guess its because I stay away from lace and pretty things like flowers. The papers are Maya Road 'Life's Journey", the sentiment is WOJ 'Festive Occasions' and I finished it off with a button and some twine. Isn't he the sweetest fisherman? Thank you for stopping by and for your lovely comments.